A serious injury is often a heavy burden that causes you large financial losses through mounting medical expenses, lost income from missing work, and any pain and suffering you may experience. 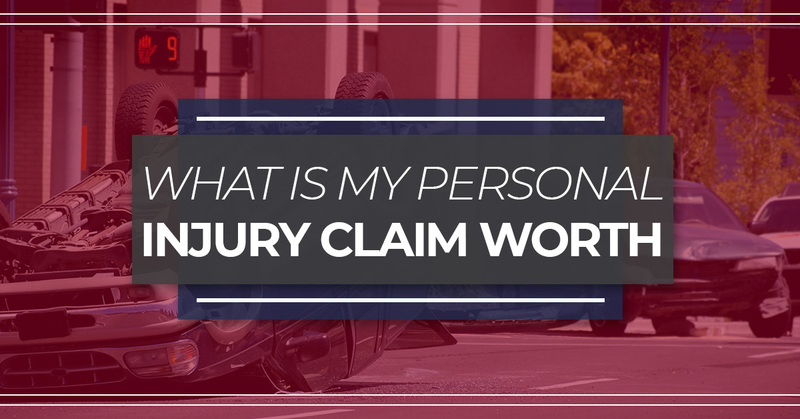 If you are filing a personal injury claim, you may be wondering how much your claim is worth. In order to determine a claim’s value, there are several factors that must be considered. This guide will help you gain an understanding of what damages you may be entitled to after suffering a serious injury. However, consulting with an experienced personal injury attorney will provide you with a precise assessment of your claim and advice on your legal options. Our team of legal professionals at The Edwards Law Firm in Tulsa, Oklahoma can help you with any personal injury claims you might have. For a free case evaluation, contact us today. The following are factors you should consider to determine how much your personal injury claim is worth. A starting point for estimating the value of a personal injury claim often begins with the medical expenses related to your injury. Although you may be entitled to compensation for all of these expenses, Oklahoma’s law regarding damages for a personal lawsuit only allows you to list the true amount of medical expenses you incurred. Under Title 12 §12-3009.1 of Oklahoma Civil Procedure, the only compensation for medical expenses you are legally entitled to include those that reflect the amount you actually paid, rather than the amount you were billed. If, for example, your total medical expenses amounted to $10,000, but your insurance company paid for $7,000, you would only have to pay $3,000 in medical bills. This means that your claim can only list $3,000 for medical expenses. As experienced personal injury attorneys, we will review all of your medical expenses to determine if your claim accurately reflects the treatment you received. Another factor to consider when evaluating an insurance claim is the severity of the injuries you suffered in the accident. Some injuries are more serious than others and will increase the value of a personal injury claim. If you suffered an injury that will cause long-term impairments, your claim will likely be worth more than if you suffered a broken bone or soft-tissue injury. Similarly, a victim who requires surgery or extensive medical treatment is often able to recover more than one who only needs follow-up visits to heal his or her injury. Medical documentation, notes from your doctor and a journal detailing how your injury affects your life will boost your claim by providing evidence of the severity of your injuries. If you were injured in an accident, you must seek medical attention as soon as possible. Unfortunately, waiting to seek medical treatment is one of the most common reasons personal injury claims are denied. Most people often cite their lack of free time or the belief that their injury would heal on its own as the reason for delaying medical treatment. However, declining to seek medical treatment is detrimental to your health and can negatively impact your claim. An insurer is likely to view any delay in seeking treatment as a sign that your injury is not serious or that it developed from causes other than the accident. If an insurer believes your injury was not related to the accident, it will refuse to offer compensation. Another element that we examine when estimating the value of a personal injury claim is how your injury has affected your ability to work and earn an income. If you were forced to take time off from work or have lost the ability to perform your job’s regular duties, and have suffered financially because of it, you may be entitled to compensation for loss of income. Although Oklahoma already requires that personal injury victims be compensated for any lost wages, our attorneys will work to determine if your injury may impact your future ability to earn an income. We will consult with medical practitioners who are familiar with your injury to construct a case that shows any future limitations to employment you may suffer because of your injury. The value of your case can also increase if you have suffered significant property damage because of the at-fault party’s negligence. For example, if you were involved in a car accident, you may be able to recover compensation for the damage to your vehicle. It may also be possible to recover compensation for damage to other personal property, such as computers, cellphones and jewelry. You should record any damages that were done to your property following the accident. While you are at the accident scene, make a list that details each item that was damaged during the accident. You should also photograph the damaged items and any damage done to your vehicle. An insurer may also require you to provide receipts that show the market price of the items you lost and may detail the condition of the item before the accident. Any evidence you are able to provide an insurance company will assist it in appraising your lost or damaged items and may increase the value of your claim. We can help you locate and effectively organize any documentation of the items that were damaged or destroyed, which an appraiser can use to accurately estimate the value of your claim. A fault is another factor that will affect the value of a personal injury claim. In Oklahoma, the rule of comparative negligence is used to determine the amount of compensation an injury victim is owed from the at-fault party. Under this rule, an injury victim’s compensation will be reduced by his or her percentage of fault in causing the accident and his or her injuries. A court may find that you were 30 percent at fault for the accident and your injury. If your personal injury claim was initially valued at $10,000, the court’s findings would lower it by $3,000, which means you can only recover $7,000. However, your level of negligence cannot be greater than the at-fault party’s. If a court finds that you are more than 51 percent at fault for causing your injury, you will lose your right to pursue compensation. As experienced personal injury attorneys, we have helped numerous victims of negligence and understand the tactics used by insurance companies to unfairly place the majority of fault on the victim. We can review your claim to determine its value during a free, no-obligation consultation. During this review, we will discuss if you have a case and the possible damages you may be entitled. All of our services are provided on a contingency fee basis and include no upfront fees or expenses. We only charge our clients if we are able to reach a fair outcome for their claim. Let us help you seek the justice you deserve. Contact our team at The Edwards Law Firm today.